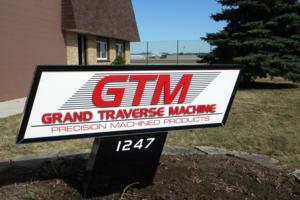 Grand Traverse Machine is a family owned business that was established in 1966 in Traverse City, Michigan. What started as a 3 man operation in a 2,000 sq. ft. building has grown into a company employing nearly 70 people with 29,000 sq. ft. of manufacturing area. Part of our success is due to the fact that we will tailor our operations to our customers needs. Our current operations are open 7 days a week, with an AM and PM shift. We will do blanket orders, Kanban systems, Stock replenishment systems, or any other inventory / manufacturing system that you may require. We have manufactured parts for many different industries such as shock absorbers and hydraulic cylinders for the fluid power industry, railroad maintenance equipment, and products for military vehicles, just to name a few.